But instead you want the Template Server 2016 places in OU TP5 and Hyper-V server directly placed in the OU Hyper-v. Instead of this you need to fill in the Value in Powershell. and Make a custom OU field. You can Add Custom Properties as you like. 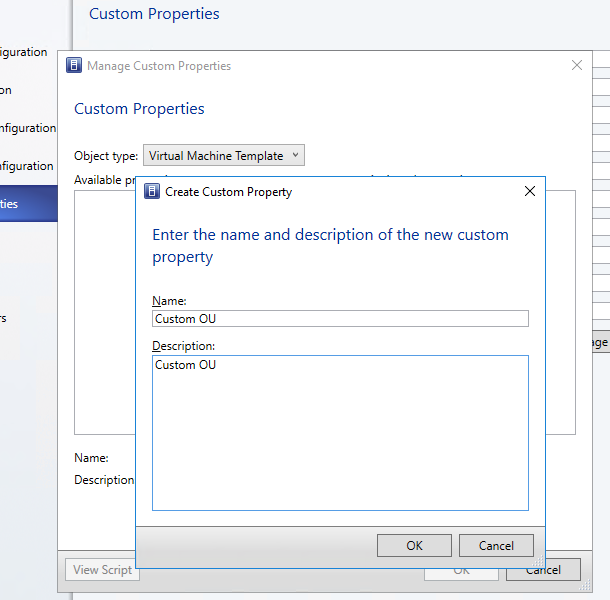 But first we are creating a Custom Guest OS profile this profile is the basis for the new build template and the Custom OU Placement. this shows us the field that we must fill in to get the right OU placement. 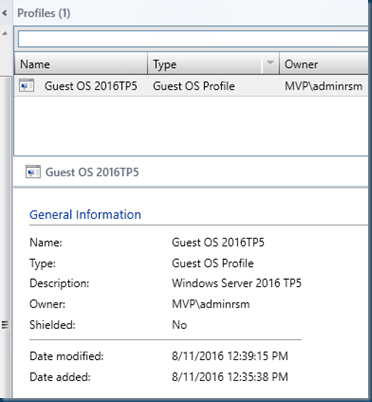 Get-SCGuestOSProfile -name "Guest OS 2016TP5"
Get-SCGuestOSProfile -name "Guest OS 2016TP5" |Set-SCGuestOSProfile -DomainJoinOrganizationalUnit "OU=SCVMM16,DC=MVP,DC=local"
Now when I create a new template with this OS profile the VM is place in the SCVMM16 OU but it is not anywhere visible in the GUI. 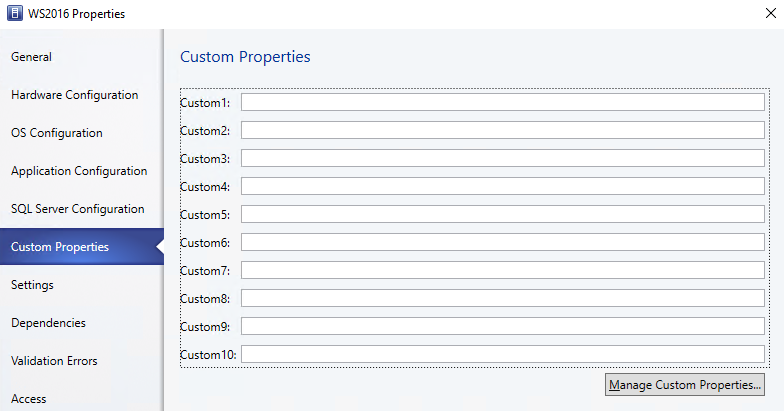 and what if I have already build templates how to place them in Custom OU. So now the Template has a custom OU also. As you can see there is an error this is because one template has no value. When testing with Windows Server 2016 and system Center 2016 you need to install the CU1 and CU2 update to get the best results. there are several fixes in these updates. Issue 1: As a Delegated Administrator (DA), when you try to configure the load balancer on the Network Controller Service, the service crashes with a NULL pointer exception. 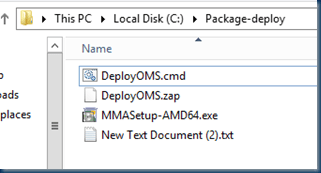 Issue 2: When you try to configure VPN connections that are running on a Network Controller-managed gateway, VMM does not display the VPNServerAddress object on the VMM Console. Issue 6: Creating Shielded VMs on Guarded Hosts on an untrusted network or on a perimeter network fails. To get more info on all the fixes and solutions and read the KB you may need to change something in the Database! So no hit and run on the System Center cumulative Updates. As you can see only 86 days left on this evaluation. 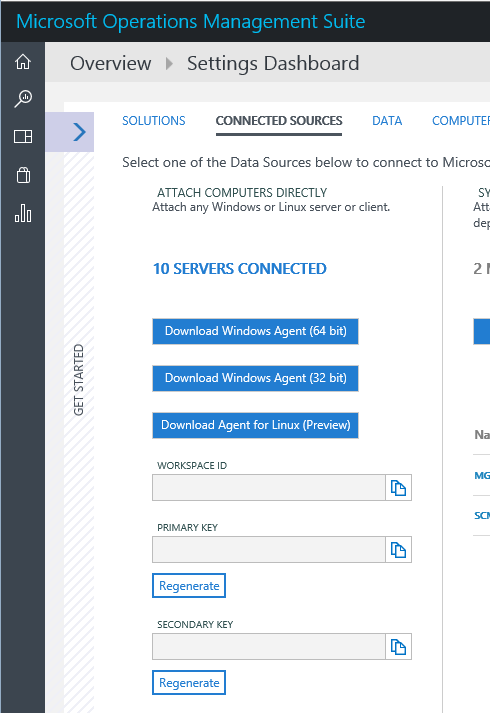 After the updates make sure the Hyper-v servers have the latest Agent version! 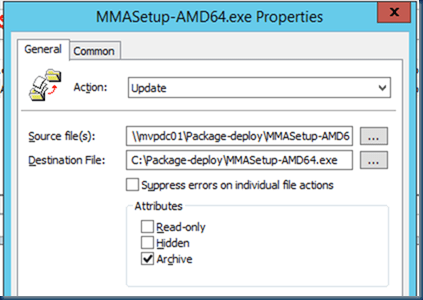 Update packages for VMM are available by manual download. 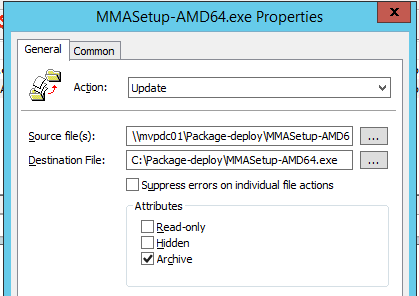 Download the Administrator Console (amd64) update package now. 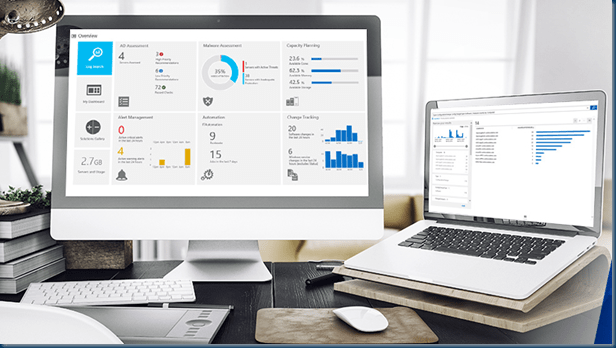 Download the Administrator Console (i386) update package now. 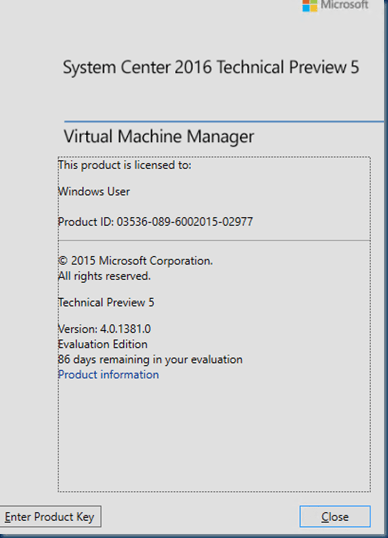 Update packages for Virtual Machine Manager are available by manual download. 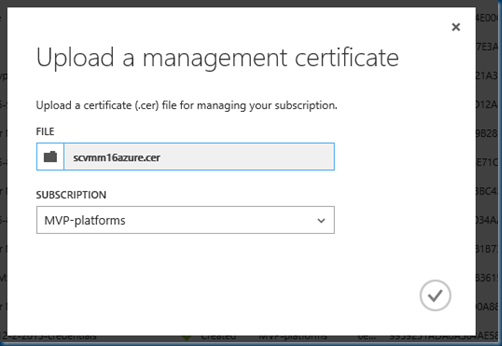 When you are testing Virtual Machine Manager (VMM) in System Center 2016 and you want to connect your Azure Subscription connected you need a Certificate and publish this is the admin portal. 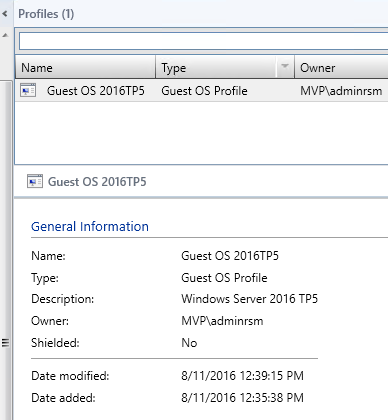 But as you thought he cool I can access all my resource groups VM’s and my old VM’s eh no VMM 2016 Preview can only manage the old VM’s. The Certificate we need to make this by hand. 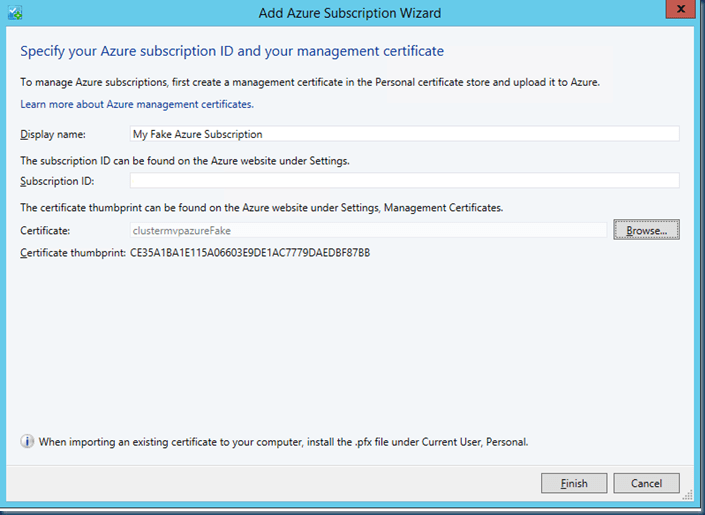 First the Subscription ID go to the Azure.com portal and in the Subscriptions there is the ID. Next we need a Certificate for a selfsigned certificate we can use Makecert but what fun is that . Created for key exchange (.pfx file). 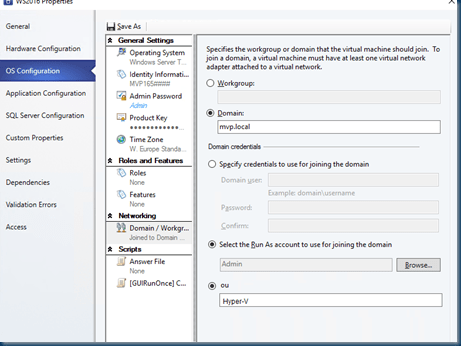 Subject name must match the domain used to access the cloud service. > You cannot acquire an SSL certificate for the cloudapp.net (or for any Azure related) domain; the certificate’s subject name must match the custom domain name used to access your application. For example, contoso.net, not contoso.cloudapp.net. 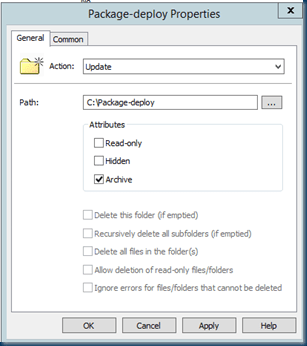 Service Certificate Only: Client-side certificate must reside in the Personal certificate store. This utility has been deprecated and is no longer documented here. 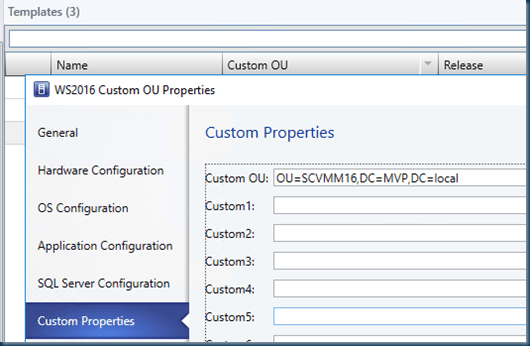 Please see this MSDN article for more information. 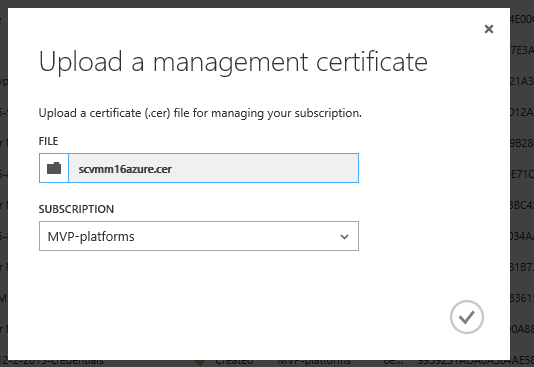 Export-Certificate -Type CERT -Cert $cert -FilePath "c:\cert\scvmm16azure.cer"
Go to Settings and Management Certificates at the bottom there is a upload link. 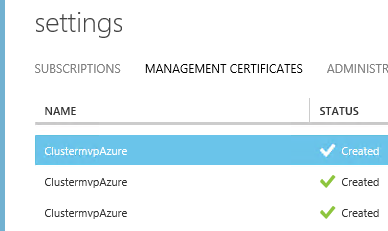 Now that the Azure Certificate is in place I check browse and see the local certificate also. here you can manage the VM’s with out the Azure v1 Portal. Suppose you want to deploy the OMS ( Microsoft Operations Management Suite ) Agent but you don’t want to do this by hand. Well Supposed you could run a Powershell script that installs the Agent. 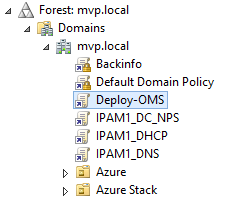 But in this case it is about deployments and a lot of VM’s are getting deployed and removed and you don’t want to put the Agent in the Template VM. I recently had to build a poor man’s lightweight deployment solution. 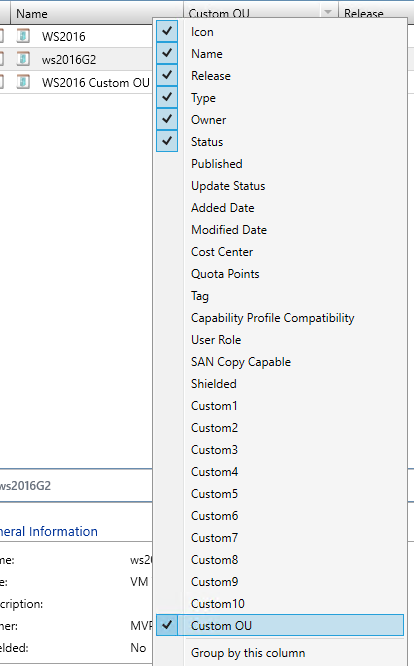 As there is noting yet in the Cloud I used the good Old Active Directory. So Old Skool deployment by GPO as you could use this for any file or solution. and yes Powershell could also be handy but in this case the VM’s can be remote controlled as the remote Port is firewalled. Now the GPO Creates a folder on all targeted Machines I did place this GPO on top be carful with that! In this new file I’ll use the Source and destination keep in mind the destination is on the machine where the agent needs to be. Do this for both files or if you have more then do this per file and If you want to limited this a bit there a a few options to do that. "c:\Package-deploy\MMASetup-AMD64.exe" /C:"setup.exe /qn ADD_OPINSIGHTS_WORKSPACE=1 OPINSIGHTS_WORKSPACE_ID=d69d8969-1111-4586-80f0-4a11bc111199c OPINSIGHTS_WORKSPACE_KEY=3zNTcggsfsfsdgjhkldsaOyQ0/dgMwsbdtrgQVPXqu== AcceptEndUserLicenseAgreement=1"
In case you can’t find the Workspace ID check your portal and go to the settings Dashboard. and get your info. 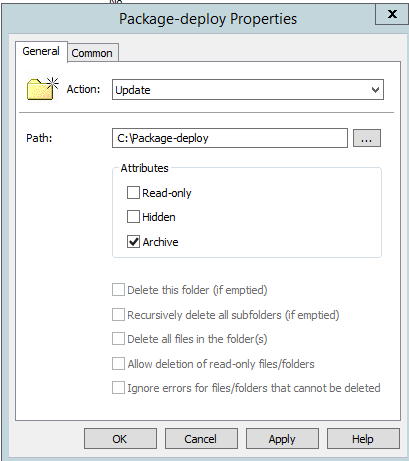 First let me check if the Modules are installed if not Install the modules. Now we get the key that we needed. See how easy Powershell is just take baby steps find the info and you will learn every day step by step. 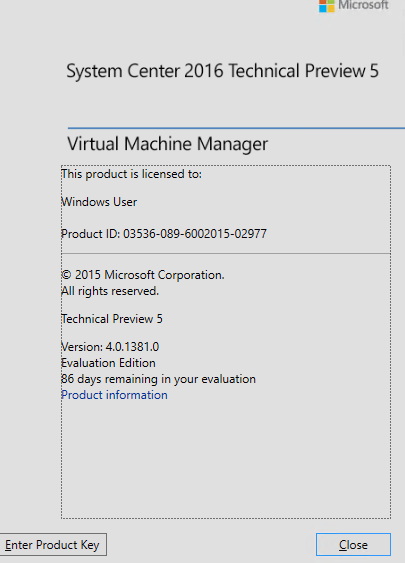 With Update Rollup 6 for System Center 2012 R2 Virtual Machine Manager (VMM 2012 R2 UR6) you have the option to manage Azure Virtual machines. 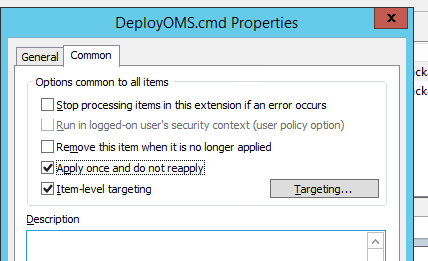 I tried to get this done all by PowerShell but it failed on me during lack of time to test this. 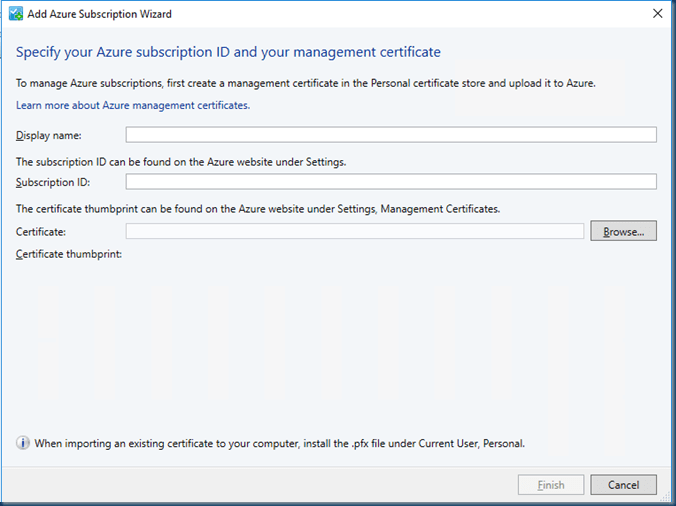 What we need is just a display name , azure Subscription ID and a Certificate. 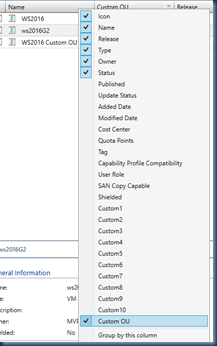 In my example you will need the Azure PowerShell Module. You can download and install the Azure PowerShell modules by running the Microsoft Web Platform Installer. When prompted, click Run. The Web Platform Installer installs the Azure PowerShell modules and all dependencies. Follow the prompts to complete the installation. First we make a self signed Certificate. 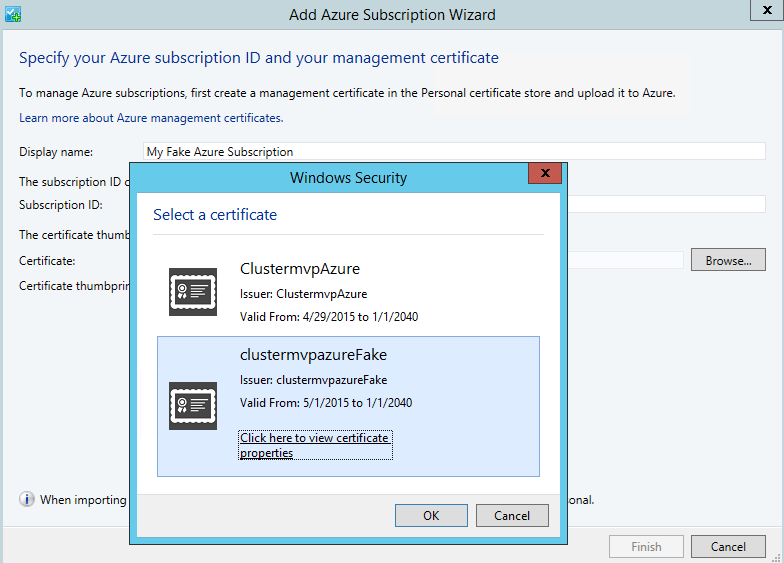 c:\makecert -sky exchange -r -n "CN=clustermvpazureFake" -pe -a sha1 -len 2048 -ss My "c:\clustermvpazureFake.cer"
Now that I have a Certificate I can upload this in my personal store. sure you can do this manually but this is faster. This ID You can copy past this from the PowerShell into the GUI and selecting my certificate that we just created and imported in the store. 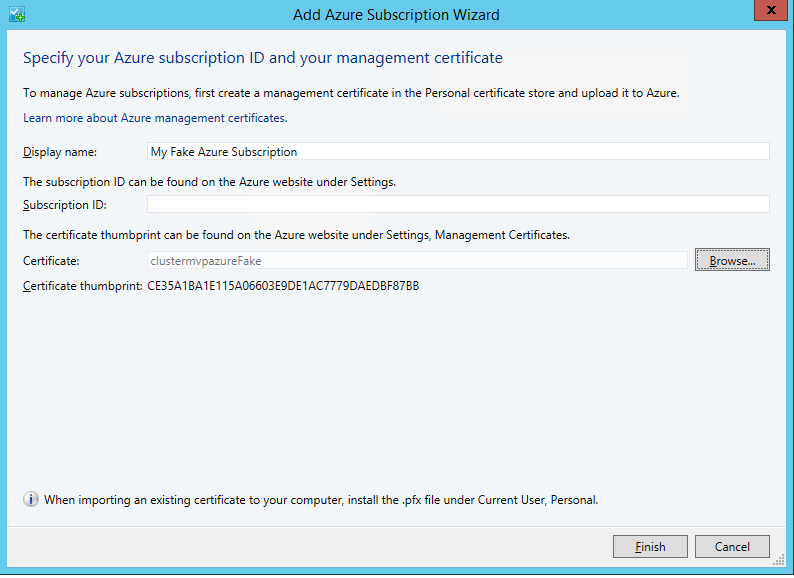 And As you will get a warning : The Subscription could not be authenticated by azure. 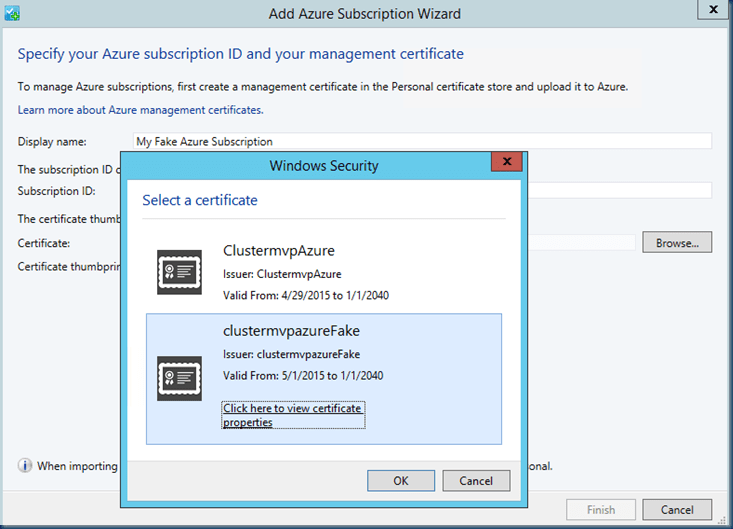 Ensure that your Certificate and Subscription ID are valid. We forgot to Upload the Certificate to Azure. As there are many post on the web to upload the management certificate with PowerShell it all failed on me. So we upload the certificate by hand. 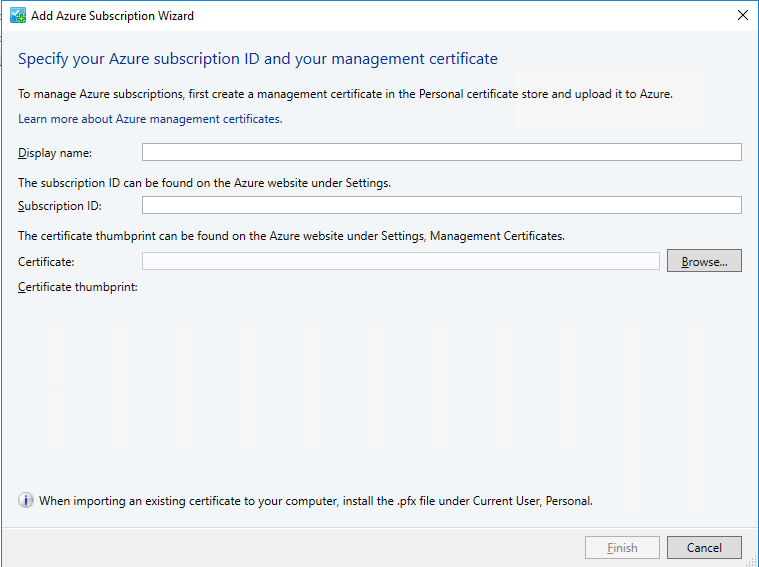 Uploading the just created Certificate to Azure. 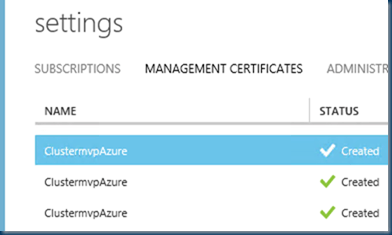 Now that the certificate is uploaded we go back to the VMM console and press finish and in a few seconds the Azure content is loaded in the VMM Console. 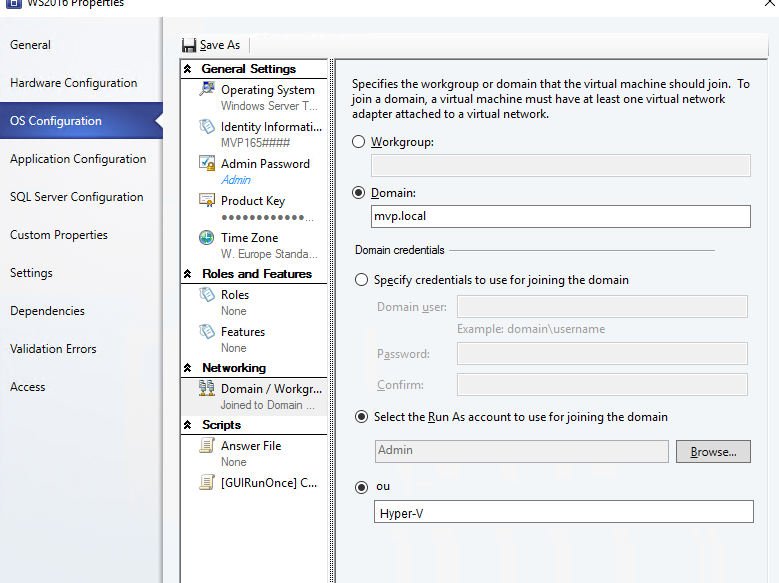 and Easy starting and stopping with the RDP is there real handy one step closer a a real hybrid Cloud.